The dumplings are still the best ones I've had. They're lovely and fresh with amazingly thin tender skins, bursting with zucchini, tofu and coriander. These dumplings are fat - popping one into your mouth whole would be a challenge. But they're perfectly proportioned, and with vinegar, chili and soy sauce on every table, you can mix up your perfect dipping sauce and hoe in. 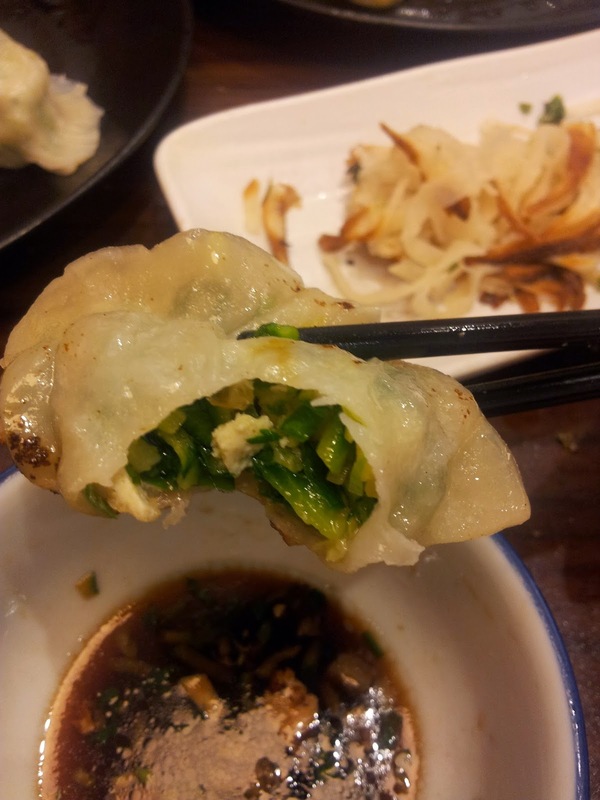 The scallion pancakes, though, are an awesome side - crunchy outsides and doughy insides, although with very little scallion flavour (and almost no visible green). I was curious about how they make these until I glanced at the receipt - they're baked, which explains the thick crunch and the non-greasy outsides. For a quick, easy and delicious CBD lunch, you really can't beat Shandong Mama. The service is fast and friendly, the food is incredible and more innovative than the other dumpling places around Bourke St. I can't wait for my next excuse to go there! 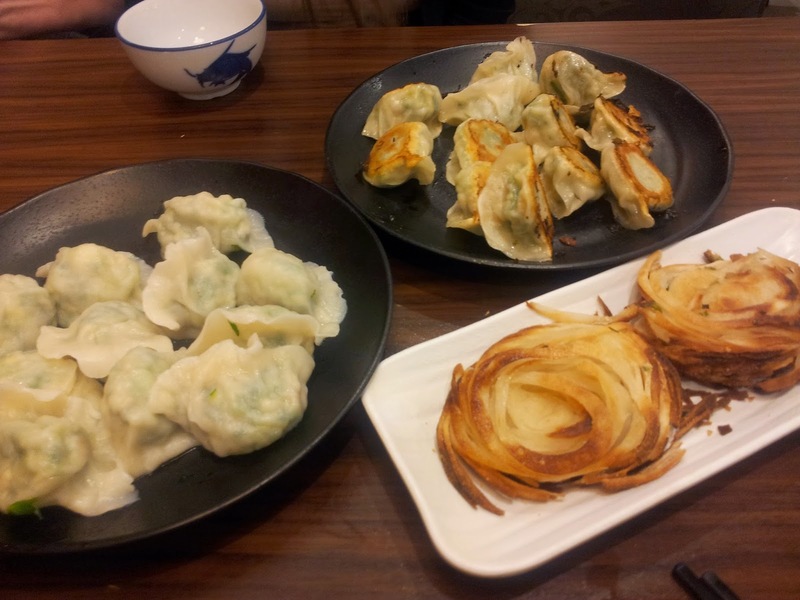 I looove dumplings and those look super perfect, I love the one boiled, one fried order too as it's exactly what I'd go for.